We begin seeding peas as soon as we can get on the fields in early spring and seed every other day until the end of June. This timely seeding provides you with tender young peas from spring until fall. Customer satisfaction is a guarantee we like to stand behind. The tender juicy peas are inside the pods.. They are great to snack on all day long.. These pods are not edible. Shelled peas provide you with the convenience of fresh peas with out the work of shelling. We can sell you a pound of shelled peas and also offer bulk shelled peas if you want to stock your freezer for the winter. 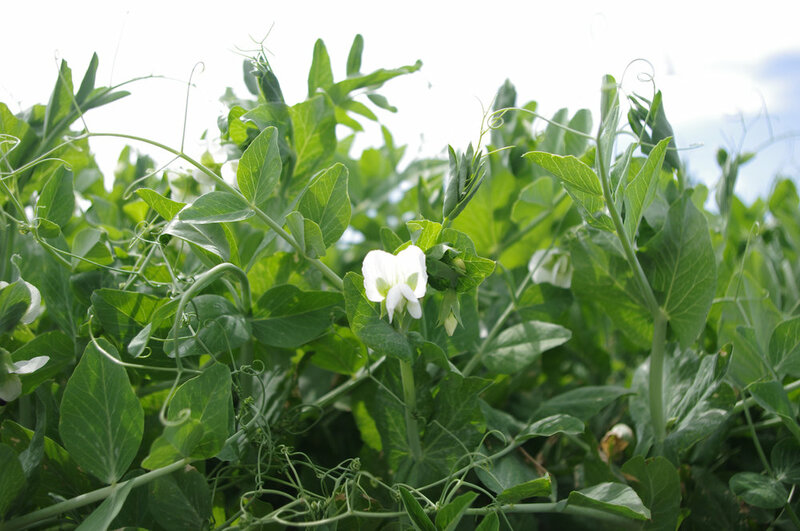 Pea shoots include the vines, the leaves, the tendrils and the flowers.. These make the most fantastic and unexpected salad greens.